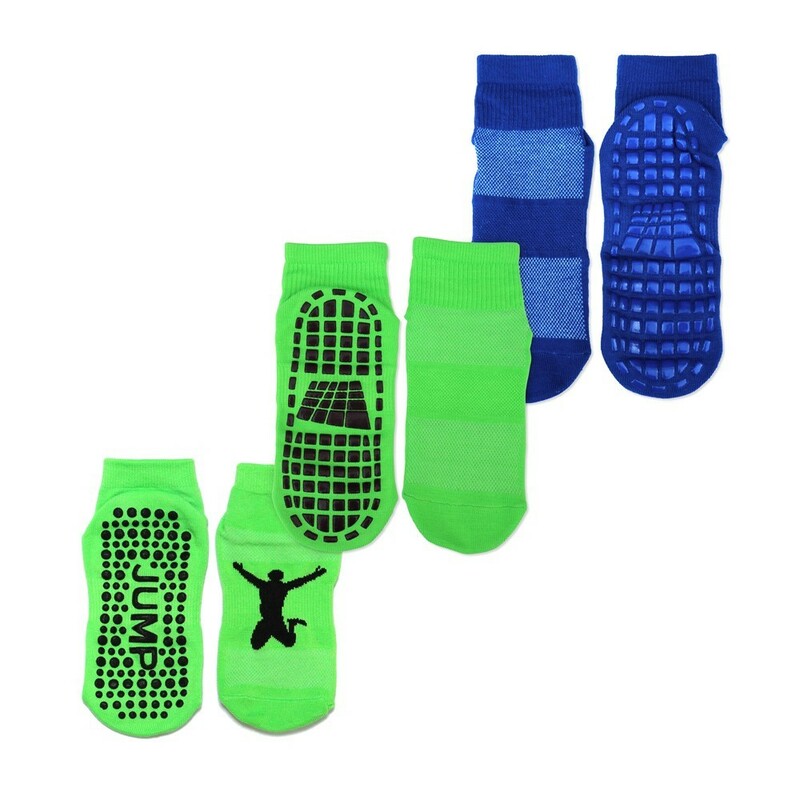 These anti-slip socks are available in 2 coloured sizes. Specially made to be used on a trampoline, they will stop your children from slipping on the mat while jumping. 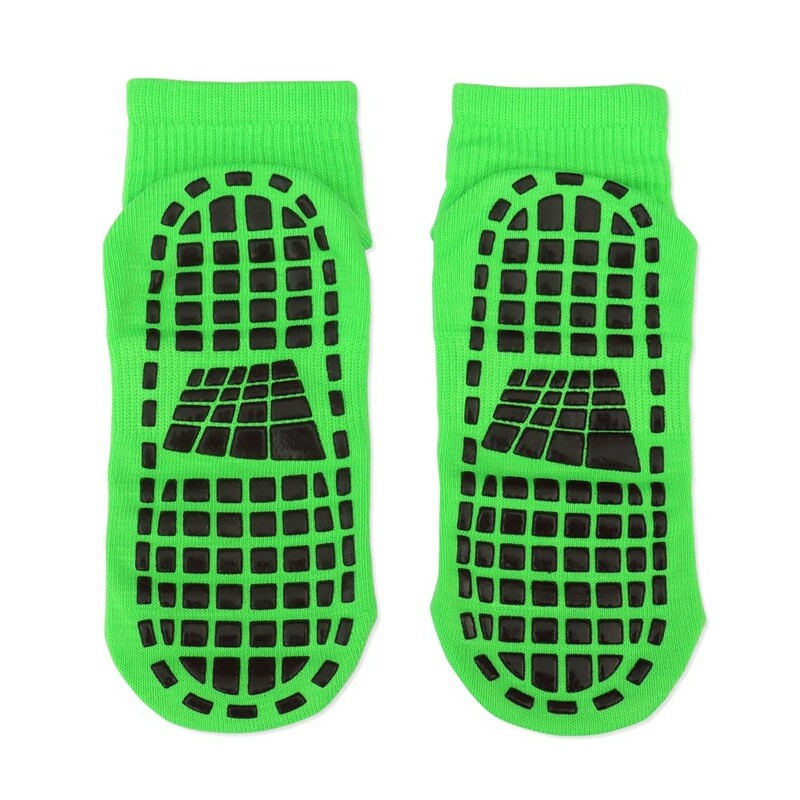 A pair of anti-slip socks to trampoline safely. 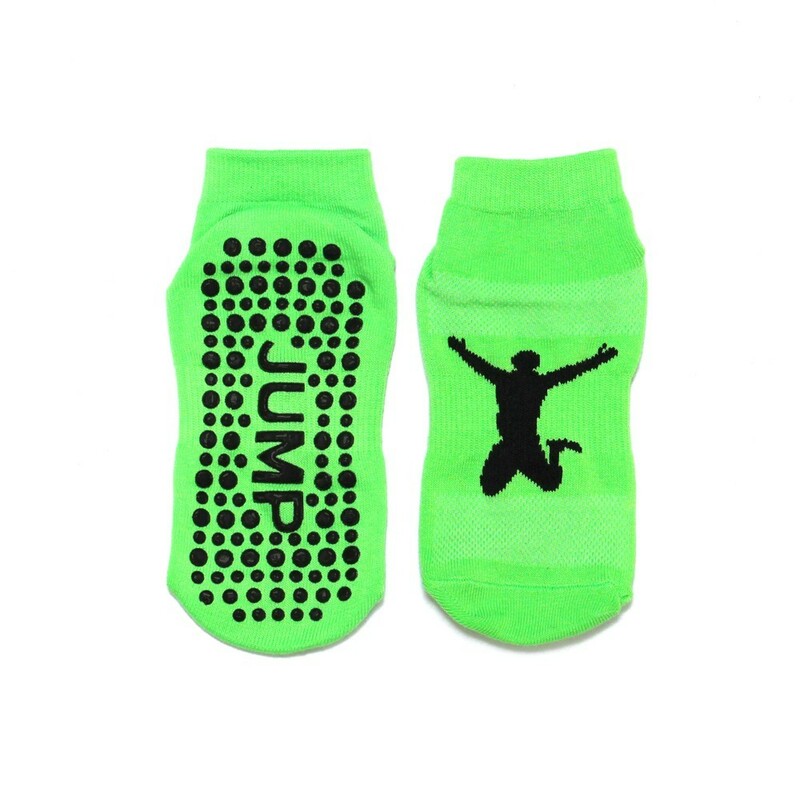 Thanks to these socks you children will feel 100% safe and comfortable on their trampoline. 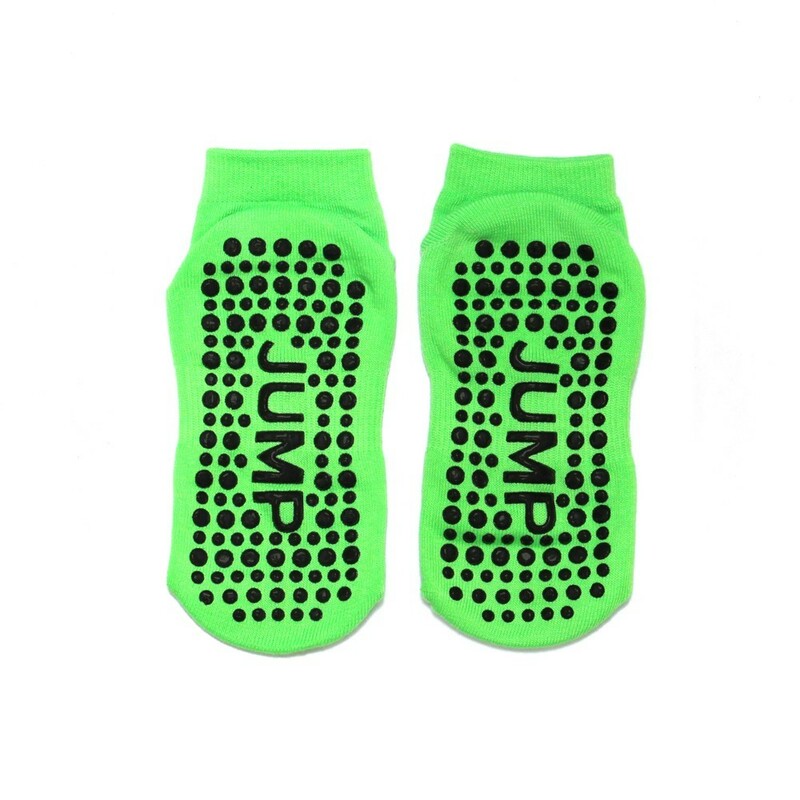 PVC treads are et all along the sole of the sock, stopping the jumper from slipping on the jumping mat. 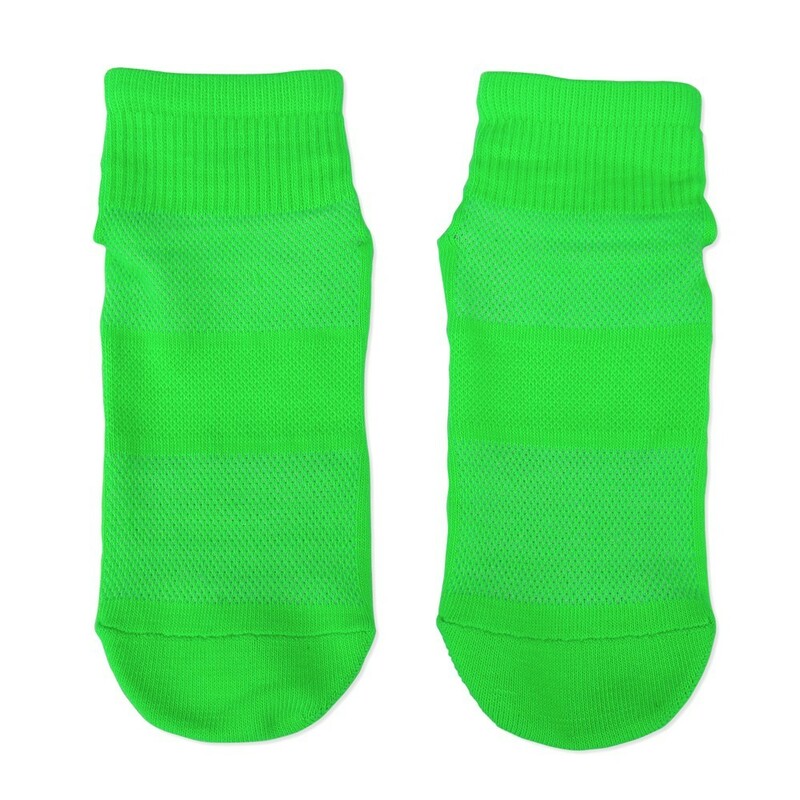 - 100% polyester, they provide excellent elasticity and have a low absorbance capacity, allowing to easily evacuate perspiration. 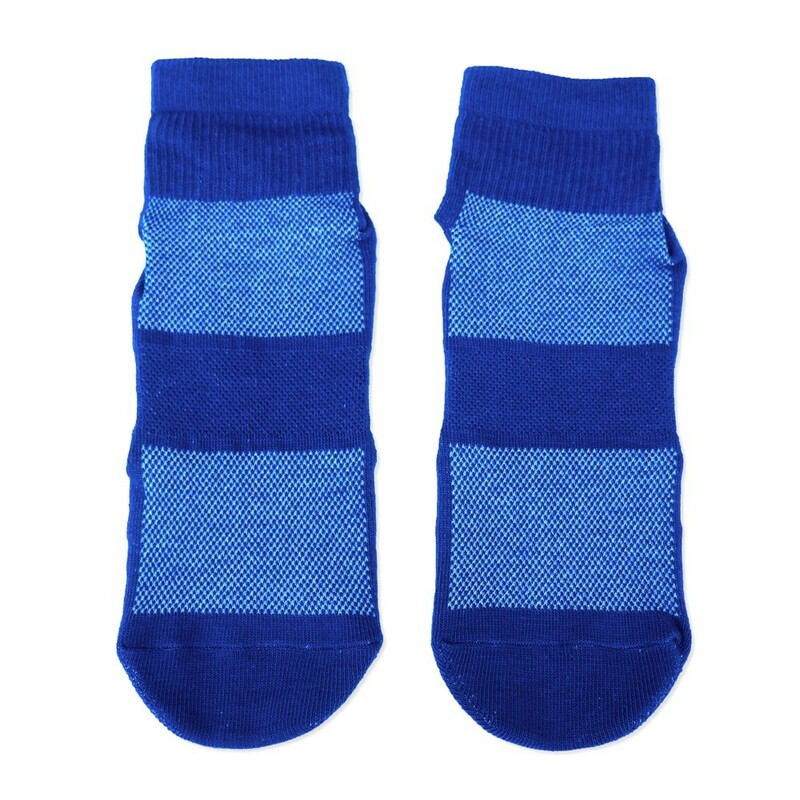 - They are easy to machine wash at 30 or 40 °. 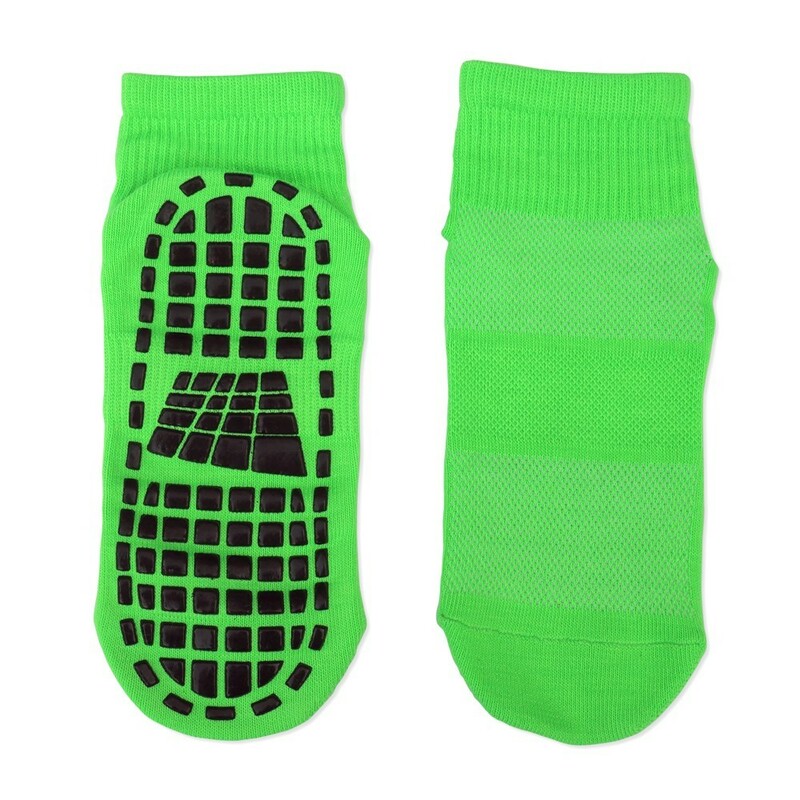 Tip: leave the socks in the trampoline storage pocket. 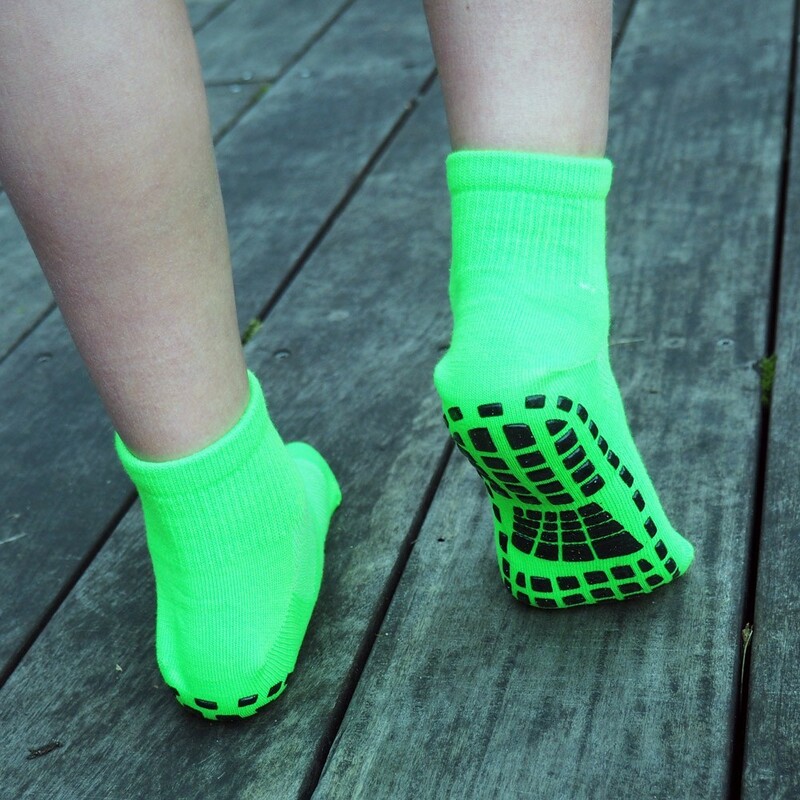 This should hopefully stop your children from crossing the whole garden in their socks! Les chaussettes, nickel.ma fille adore car elle ne glisse pas lorsqu'elle fait ses sauts perieux.